Actress Saoirse Ronan attends the 2017 New York Film Critics Awards at TAO Downtown on January 3, 2018 in New York City. Saoirse Ronan kept it minimal with this straight side-parted hairstyle at the New York Film Critics Awards. 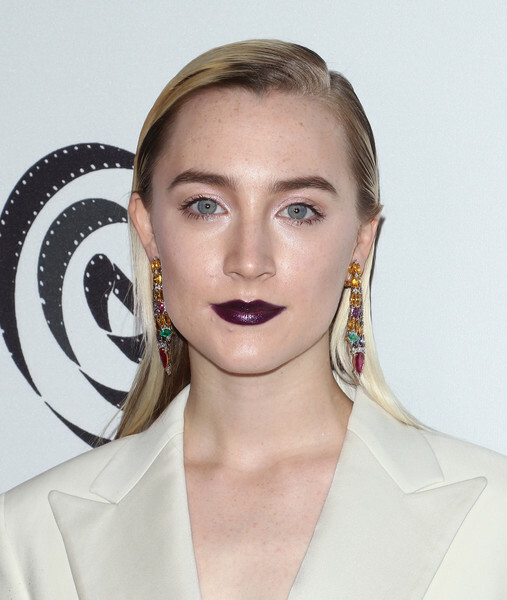 For her beauty look, Saoirse Ronan went bold with a dark plum lip. A pair of colorful gemstone chandelier earrings by David Webb provided an ultra-glam finish.